At Apollo United Presbyterian Church, its mission statement is “Wrapping our community in God’s love one person at a time.” By getting “messy” once a month, the congregation is doing its part to live up to that motto. 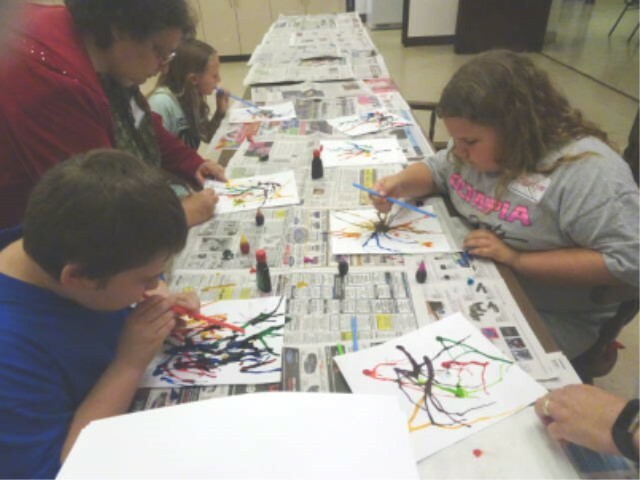 Using a curriculum from the “Messy Church” – an alternative way to bring entire families together for a church service through creative means – Apollo United Church in Apollo, PA, has discovered a way to reach families who are not attending Sunday school on a regular basis. 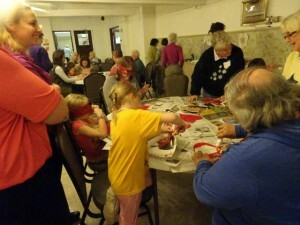 The United Kingdom-based Messy Church program consists of a two-hour gathering that includes a meal, a message, music, a celebration, a creative prayer and, of course, some sort of “messy” activity. Lea heard of the Messy Church through a local Methodist church and decided to give it a try at Apollo United. In the few times the church held “Messy Church” in 2017, it regularly drew two dozen people and on a few occasions that number reached 40. Apollo United, which holds its Messy Church on the third Sunday of the month from 4:30-6:30 p.m., experimented with it in the spring of 2017 before starting it up again in the fall. “Messy Thanksgiving” and “Messy Christmas” were included in the second wave of programs in the fall, adding some uniqueness to it all. “We’re using scripture, but in hopefully creative ways,” Lea said. “What I do then is provide a handout to families to take with them so that on other Sundays when we’re not meeting, if they wanted to, they could plan something around their evening meal like a scripture and activity time within their family. We’re trying to get faith development back to the family as the center of it, with the church helping with that. It seemed like families were giving over faith development to the church, and that just hasn’t worked. A welcoming game opens Messy Church at Apollo United before the meal, which is geared toward what the evening’s lesson is centered around. In January with Valentine’s Day around the corner, heart cookies were on the menu, with the icing portion of the process being left to those who attended the program. “We talked about the idea that Jesus grew up in the love of his family in the same way that we grow in the love of our family,” Lea said of the night’s “Jesus Growing Up” theme. 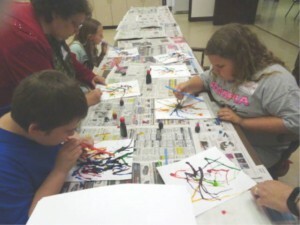 An activity time follows, which are “fun, creative things that reinforce a part of what the theme is,” Lea said. 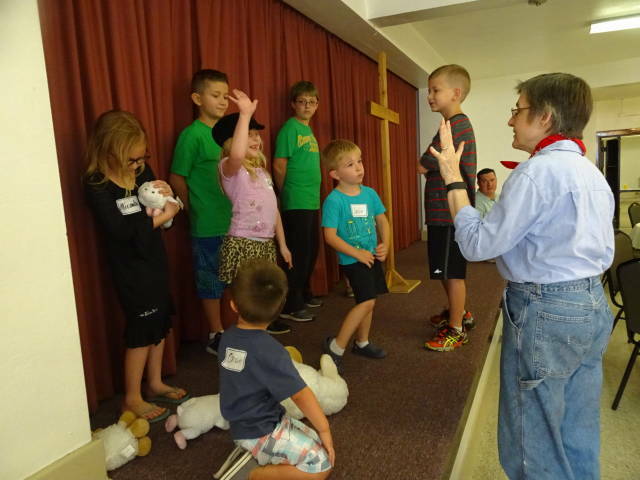 While this might sound like the makings of a vacation Bible school, there is one distinct difference between VBS and Messy Church in that in VBS the children are usually separated by age from the parents. “This is intended to have the families go through this, do these things together and talk together while they’re doing these things,” Lea explained. 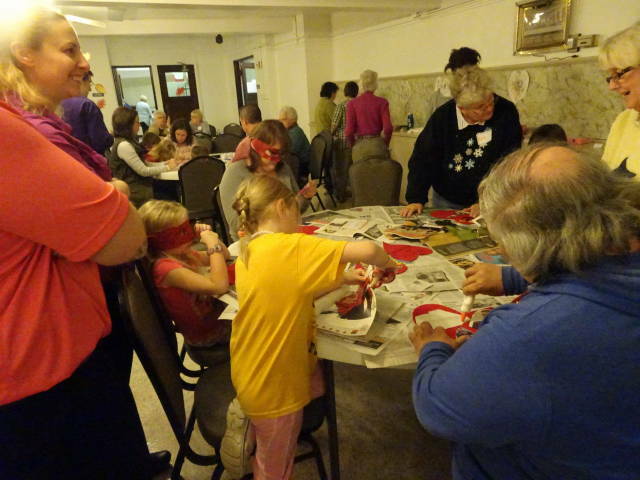 According to the Messy Church website, there are only a handful of other churches in Pennsylvania that currently offer Messy Church, and most of them are Methodist congregations. And while Lea admits that Apollo United hasn’t been pulling in a lot of new people to their congregation through Messy Church, she is pleased that the alternative worship is connecting with many of its own members. “We had not been successful at making Sunday school a way to reach children, let alone families,” Lea said. “If we’re going to continue beyond the next 10 or 20 years in all of our smaller-church, smaller-town settings, we have to find a way to engage those families.